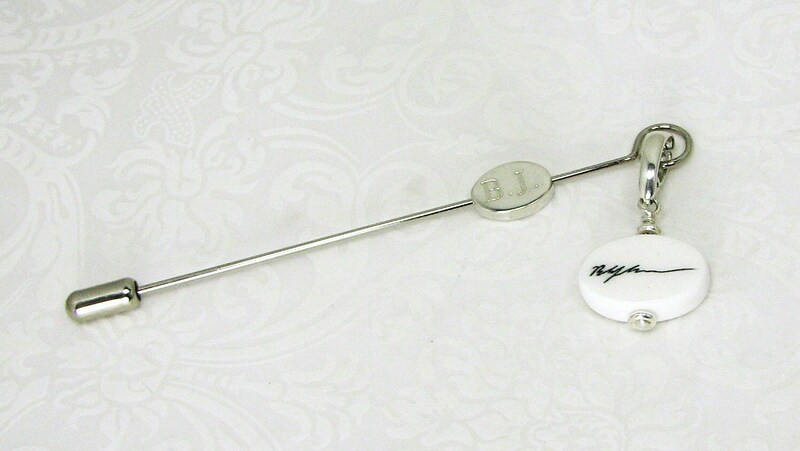 Personalized Groom's Pin for your boutonniere, or corsage. 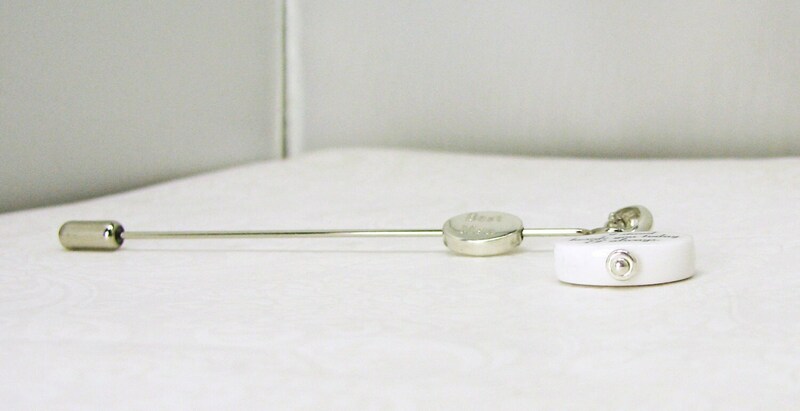 It holds a Mini, two-sided oval photo charm that measures .6" across. 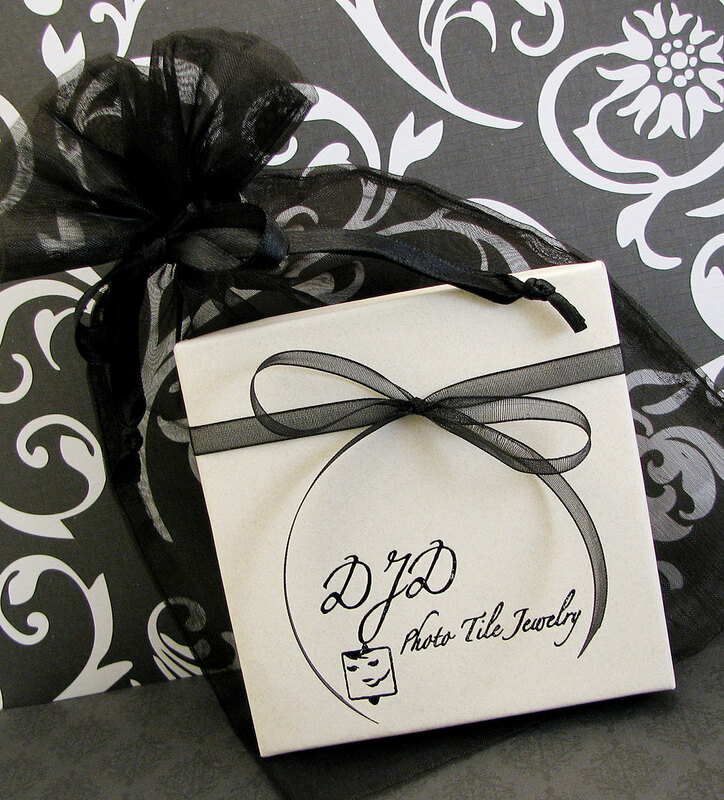 This custom, keepsake memorial photo charm dangles from a 3" pin that is easy to place in your flowers, or on your lapel. 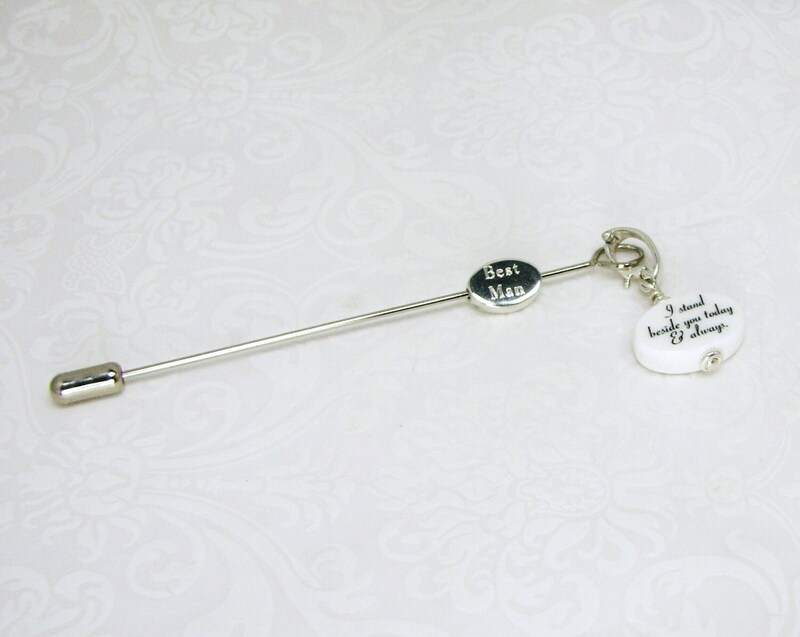 This pin holds a special sterling message charm that is engrave-able on both sides. It measures 11 mm across and holds a very small amount of text, but can be slightly flexible. 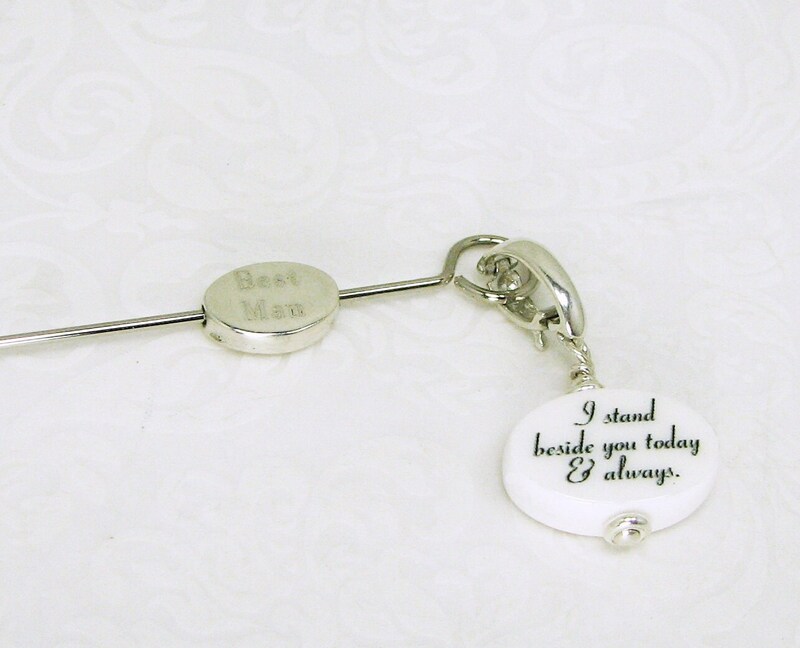 The one shown above says, "Best Man" on one side, and the initials, "B.J." on the other in the Bodoni font style, but there are many other's available.